Location: The Europe Hotel is located in Killarney. Experience the 'Emerald Isle' at its most beautiful. With its magnificent landscapes, Ireland is a treat for nature lovers and it is here, in the county of Kerry that you will find the picturesque town of Killarney surrounded by beautiful lakes and mountains and just a few miles from the Atlantic Ocean. 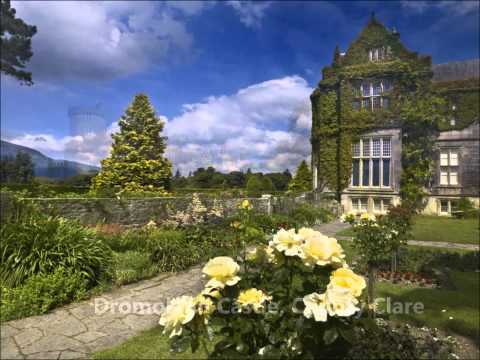 It is in the beautiful grounds of The Europe Hotel & Resort that the waters of Killarney’s largest lake, Lough Lein, reflect the wilderness of the McGillycuddy Reeks Mountain range. Restaurant:The Brasserie Restaurant at the Europe Hotel, with terrace for relaxed al fresco dining, is open daily from 11am to 11pm serving light snacks to succulent flamed grills steaks cooked in front of you by award winning chefs on an open grill. The Panorama Restaurant has one of the most enviable views in Ireland with vistas of the Lakes of Killarney, mountains and gardens stretching before you. The restaurant is open for breakfast and dinner (closed for dinner on Sunday) providing fine dining at its best, highlighting Irish and international cuisine. Bar/Lounge: After dinner, relax in any one of the newly renovated spacious lounges which magnificently complement the beautiful hotel surroundings - read in the Library, relax in the Lounge or sip a glass of chilled champagne in the Brasserie Bar. Spa & Leisure Facilities: All Guests may enjoy the complimentary use of the facilities on The Active Level of the ESPA at the Europe Hotel.The Active Level includes: 2 Pools - Indoor pool with infinity edge and pool side loungers + Indoor and outdoor vitality pool.Fitness Studio with state of the art equipment. Studio for Wellness Classes, Thermal Suite, Salt water pool, lifestyle showers,ice fountain, sauna and steam room. On the Spa Level at ESPA at The Europe there are 16 Treatment Rooms and a Dark Relaxation Room with reclining loungers with built-in reading lights, personal headphones & juice bar .